On August 6, 1887, Oliver George Wallace was born in London, England. In 1904, he moved to the United States and started work as a conductor in theaters and as an organist for silent films. In 1936, Wallace was hired by the Disney Studios and composed more than 100 short films, which included the 1942 Donald Duck short Der Fuehrer’s Face. Wallace would also work on several of Disney’s animated films, winning an Academy Award for Dumbo, along with Frank Churchill. 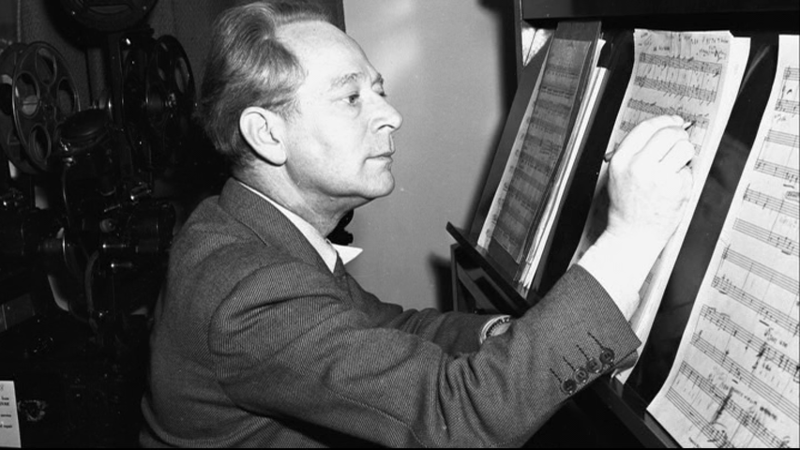 Wallace would also compose for Fun and Fancy Free, The Adventures of Ichabod and Mr. Toad, Cinderella, Alice in Wonderland, and Peter Pan. After the studio moved into live-action feature films, Wallace would work on scoring several of these, including Darby O’Gill and the Little People; Wallace would also move into scoring several of the True Life Adventures documentaries. He continued to work until his death in 1963. Wallace was named a Disney Legend in 2008. Posted in Uncategorized and tagged Academy Award winning, Composer, Feature Film, Music, Short film. Bookmark the permalink.